Easily drag-and-drop employee shifts where you need them. Eliminates over staffing, reduces overtime and quickly identifies gaps in coverage before it’s too late. TimeSimplicity is cloud based, so you’ll have access 24/7 and there is no software to install or servers to maintain. TimeSimplicity allows full integration with leading time and attendance systems. Simplify Employee Scheduling with Timesimplicity Today! TimeSimplicity verifies adequate shift coverage, detects overstaffing and ensures the right person is doing the right job every time. 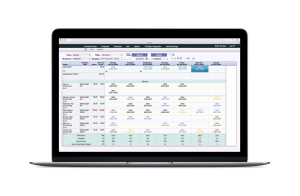 Contact us today to get started with advanced scheduling with TimeSimplicity!